Cultural information and the role of working women in our society. For a lot of women, packing up their entire life to move to a different state for a new job sounds quite daunting. 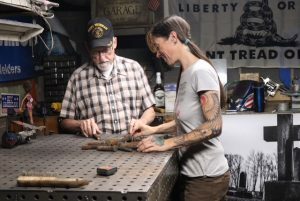 Factor in trying to deal with yet another male-dominated shop where you have to prove that your work is just as good (if not better) as theirs, and it sounds like something no woman would do more than once. 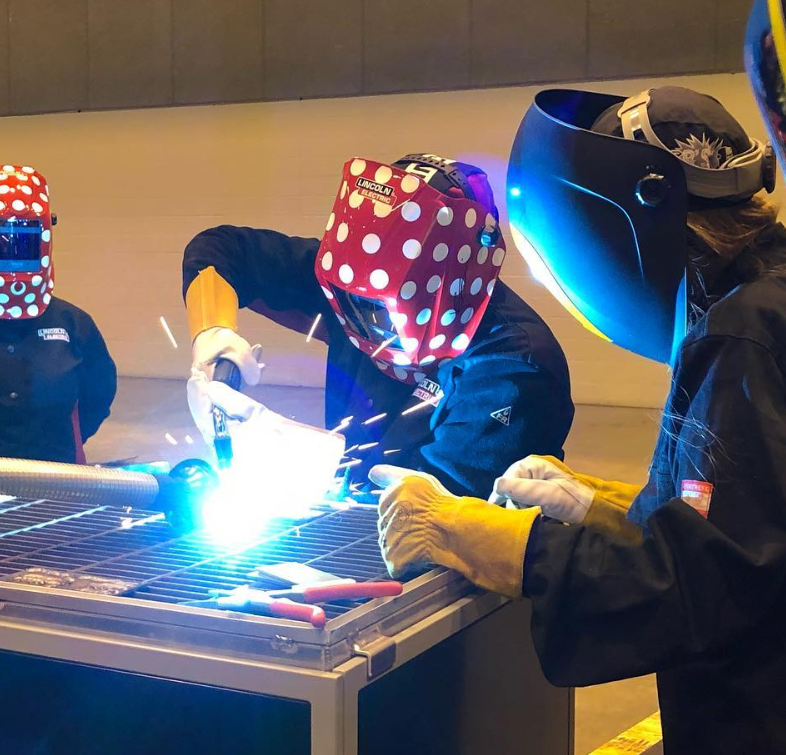 The initial experience of welding was a little intimidating for Cynthia. 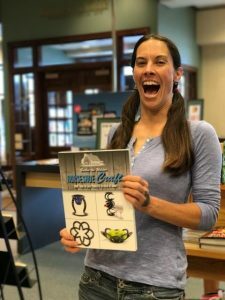 “I wasn’t used to loud noises or sparks flying but after completing my first project, I was hooked.” She dropped out of her printmaking course and pursued sculpture full time. 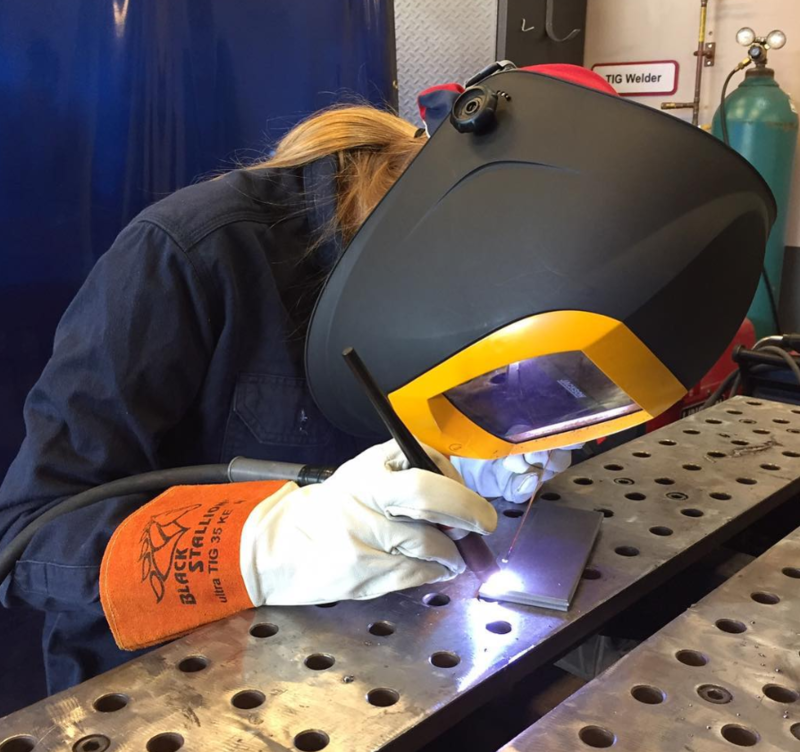 Cynthia’s passion for welding turned into a career of a lifetime. 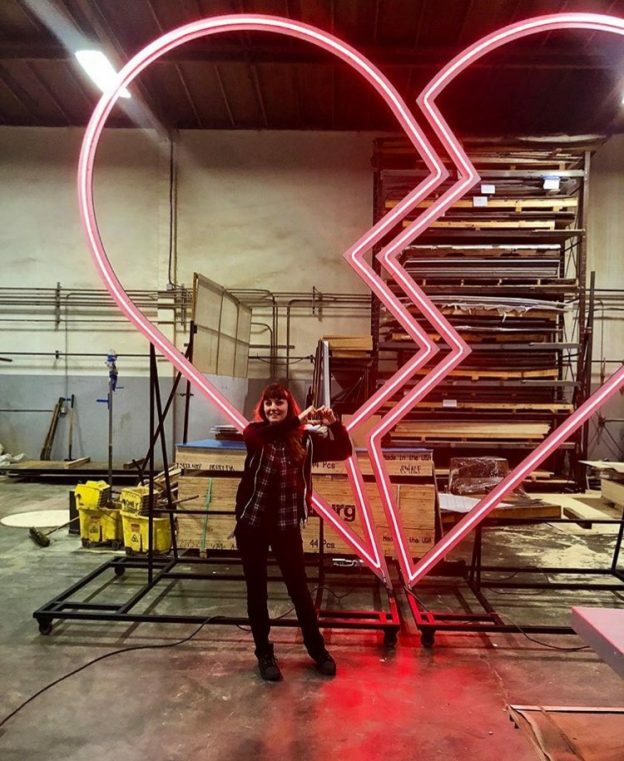 She started out building small sets for local theaters and through several referrals, travelled the country to work on commercial and event sets for various shops throughout the country. She even went to Brazil to fabricate a set for the NBC News Studio during the 2016 Olympics. Cynthia says it’s who you know more than what you know and credits her networking skills more than her own talents for how far she’s come over the years. “Networking is key! I find it very important to network and meet as many builders, drafters and shops as possible.” One referral at one shop leads to two or three referrals to another shop and as soon as you know it, you’re a traveling freelance sculptor who builds set pieces for musicians on tour. Ever heard of Katy Perry or the queen bee, Beyonce? Yeah, Cynthia’s fabricated numerous set pieces for their tours. “Both Katy Perry and Beyonce have given the shop I work for really challenging and fun projects. 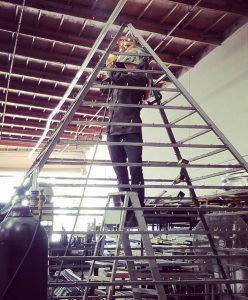 I’d have to say the stainless steel chair we made for Beyonce was the most intricate welding job I’ve been part of.” Cynthia’s hard work paid off. 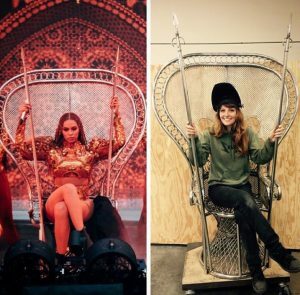 Beyonce loved her chair so much, she ordered two more to give as Christmas gifts. Cynthia had the pleasure of working for two empowering women but hasn’t had the chance to work with any yet. One of the best ways to network nowadays, besides hustling across the country like Cynthia, is through social media. 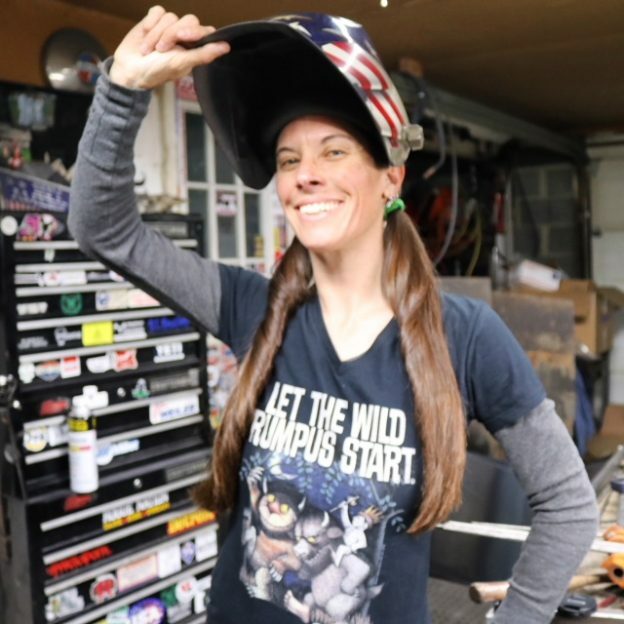 Something great about the women’s online welding community is that they are not afraid to share both sides of the #WeldLife. They post their strengths and weaknesses, ups and downs and the hurdles they encounter to become the strong women they are today. It’s a place we all can go to gain insight, seek advice and like Cynthia, become motivated for the next project. I might be biased but my favorite welding tool would have to be my personal welder, a Miller Diversion 180. I love that this welder is tiny enough to travel to a job site yet powerful enough to run all day long. I saved and saved and researched this welder before I bought it. I’m just proud whenever I see it. And, I could not work without my strong hand clamps. Lifesavers! Which tool was the easiest/most difficult to learn to use? The MIG welder was easy to get the hang of. Using the TIG welder was challenging and I would say the most difficult to learn. It took a lot of patience and practice but now it’s what I use the most. It’s hard to imagine back when I had trouble with it. What brand of safety gear/apparel is your favorite? This is a tough question for me. I find it extremely difficult to find protective welding gear that fits me. Most of the big companies only carry men’s sizes. I used “Angel Fire” welding jackets but tend to go through them quickly. I use Tillman TIG gloves in small- when I can find those. Other than that, I’ve tried some of the women’s Carhartt line and Dickies Girl. It’s pretty cool that your career is what some people are only lucky to have as a hobby, what do you do outside of work for fun? I still build stuff for fun and even dabble in carpentry. But everyone needs a break from the shop. My boyfriend and I have a 1956 Shasta camper we take out to the desert or the beach. We try to take the roads less traveled. Always looking for an old motel sign or abandoned building to take photos of. You’d probably see us on Route 66! I’ve also been learning how to skateboard. Trying to challenge myself in everything. 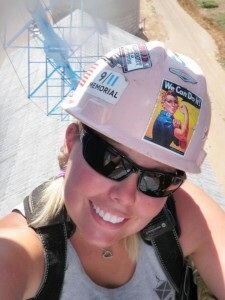 Lastly, what advice would you give girls/women looking to enter into the trades industry? Don’t give up, never be afraid to ask questions, always listen and smile! That old guy whose been at the shop forever can teach you a lot. I know from experience. 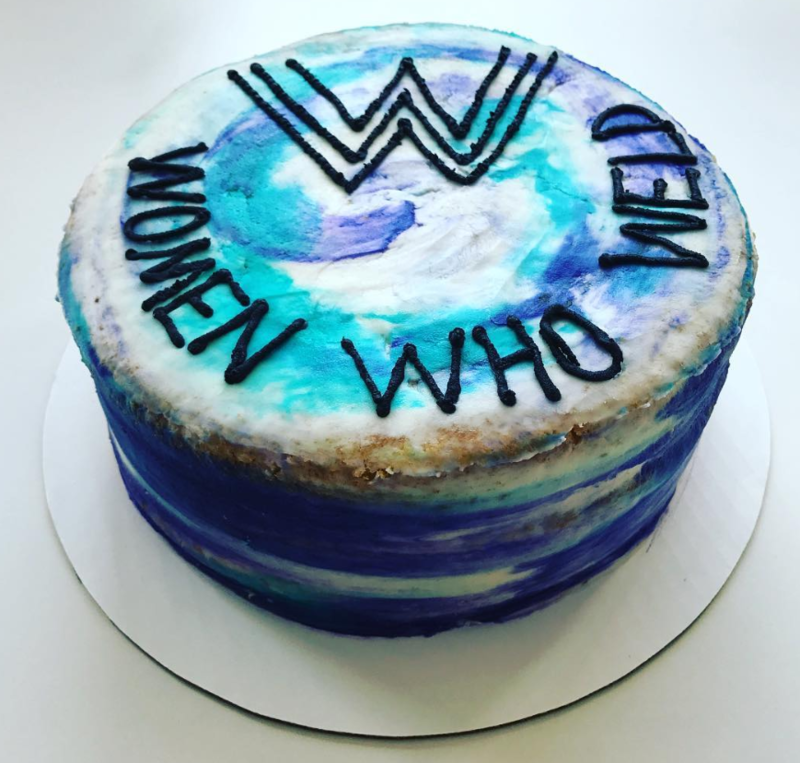 This entry was posted in New Rosies, Working Women & Society on December 11, 2018 by Carmen. The week after I got out of high school, my Mom said, “Go to these places and get a job. Here’s the newspaper, I already circled a couple.” I went to a local shop, and they actually offered me a job. It was really good money, a union job with benefits, so I said, “Okay, sure!” It was a Production Silver Brazer position at ITT General Controls; we made thermocouples. We took a copper wire & welded a nickel sensor to it with silver; essentially, we brazed them. I worked the swing shift, so I had all day to practice, test and work on my motorcycle which was perfect because I was racing at the time. From there, through motorsports, I learned how to fabricate tuned exhaust pipes and make skid shoes (steel shoe with hard-facing alloy on it for zipping around the track without burning through your boot). One of my racing sponsors had a motorcycle shop, and in the back he had a Sprint Car, which is a dirt track race car. I looked it over; it was a kit car, and the welds were horrible. They introduced me to the driver, Steve Howard. We were about the same size & age, and I looked at him and said, “Dude, you’re going to get killed driving that thing!” So I went to night school at Pasadena City College and took welding classes; then, I went back to the shop, ground out all the Arc welds, and re-TIG welded the chassis. Later, I became part of their team, we went to the local tracks with that car, and I met a lot of talented fabricators, mechanics and car owners. One thing led to another, and I started working at Weldcraft It wasn’t long till I built my first race car. It was good looking and fast, so I was offered big money for it and sold it. After the sale, I built another car. Soon I left the company and was hired to build a World of Outlaws team and we ventured out of Southern California to join the national tour! I was the Chief Mechanic, the driver brought his motorhome, wife and two kids in diapers. We were on the road for eight months and raced in 21 states, as well as Canada. We won 3 races and finished 5th in points our first year. We were stoked! I was fully committed to being a professional Chief Mechanic, and I got an offer to work on an Indy-car team. So I came back to California to get all of my stuff from my parent’s house. When I got there, the owner of Weldcraft was waiting for me and said, “You’re never going to make a living in racing. You need to come work for me and be responsible.” My dad agreed, so I went back to Weldcraft. This was before ESPN really kicked in with motorsports, so at that time it really was hard to make a living as a chief mechanic. 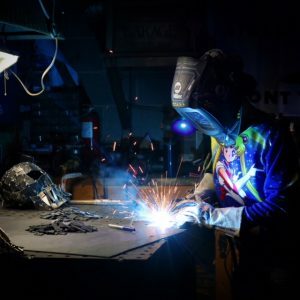 It was brutally hard work, and you didn’t make a lot of money, so I joined Weldcraft and helped build it up to one of the industry’s leading brands before they sold the company to Miller. After the sale, I worked up to Product Manager and got to travel all over the world and met with many different manufacturers like Lincoln, Hobart, Panasonic, OTC, PowCon, Centricut and more. I was exposed to all aspects of the welding industry, from the manufacturers to the end users. Any time I was home in Chicago, I worked in my shop and did some fabricating on the side. While tinkering around, I came up with the notion that the industry lacked a purpose-built, specialty TIG torch with some different features in it. I made a prototype showed it to the President of the company at the FabTech show in Chicago, and he loved it. The team said, “Let’s do it,” and the Crafter Series was born. My name is on the Patent, but I don’t own it. 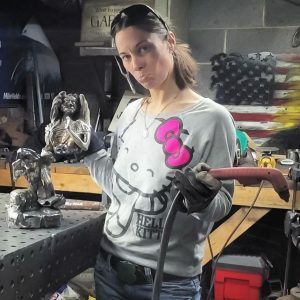 I had to sign the rights over to Weldcraft since I worked for them. To this day, the Crafter Series torch is the most popular series TIG torch ever made. Now comes the juicy part. I started dating Gina, my wife, while working for Miller, and before long she wanted to move from Illinois to California. I thought her idea was perfect because the winters weren’t getting any easier, I wasn’t getting any younger, and I didn’t want to work for a big company my entire life. I was looking for something new anyway, and it wasn’t until I got my first Prodigy email account that I realized I could actually sell supplies on the Internet. Once we moved to California, I went to UCSD Connect, which had an entrepreneurial program “Starting & Managing a High Tech Company”. It was a three month accelerated course. During the evening, I took another class through the Small Business Development Council which was focused on “Starting a Company”. In both courses, I learned how to develop a business plan, but both instructors said my idea probably wouldn’t pan-out because welders weren’t on the Internet. Regardless of their opinion, I believed welders were (or soon would be) on the Internet, and it was the best way to reach them. I started an eBay store and sold my Welding Encyclopedia that I got from the American Welding Society. 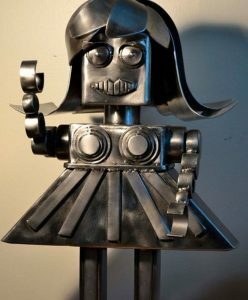 I showed my instructors that I sold something online to an actual welder and they said, “Well, look at that! 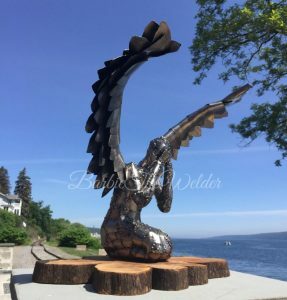 Welders are actually online!” Once that first sale happened, I began to lay-out the design of a website and knew I needed help because I am a fabricator, not a wordsmith. I hired a professional technical writer, and we met every day for lunch to write the website page by page. Once everything from the About Us to the Checkout page was written, I hired a fellow student from one of my classes who was completing a degree to become a web developer. I gave him the written pages, and we built the entire website from scratch. Then I contracted a husband and wife team to build the eCommerce store. He was from England, and she was from Germany but they lived out in the high desert. I had never even met them, not even to do work. We did everything over email. It took about a year to complete the Site. 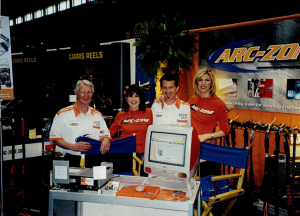 We started in 1997 and launched in 1998. When the website launched, I was working out of my bedroom. I had all of the inventory at my house and shipped it from there. I was living in a subdivision, and it was illegal to have a business so I never opened the garage door. For three years, my wife supported us financially, so I could get my business up and running. After a period of time though, she would write me notes that would say, “You’re going to sell this much today” and leave it next to my coffee so I would see it. She taught me about goal-setting, because otherwise, I would have just bounced along. There’s a lot to do as an entrepreneur, and sometimes you just don’t want to do everything but she kept me in line. She would come home from work and ask what I did that day, and if it wasn’t what was on the note, she would say, “No, you need to sell something.” I would say, “Come on, give me some time,” and she would just encourage me to work harder. She started writing me notes with goals on them everyday to keep me on task and focused on building my company. In order to grow the company, I needed some help so we hired a long-time friend of mine, John, and he came to work in the house with me. He worked in bedroom #1, and I worked in bedroom #2. This is kinda funny; I wanted people to think that Arc-Zone was this huge company, so I recorded the sound of telephones ringing in the background, and the sound of emails coming in. I would play it while I was on the phone with customers. Sometimes, you gotta fake it til you make it. Anyway, after John came to work for Arc-Zone, we finally were able to move into a building which is actually just two doors down from where we are now. We moved here in 2001 and 10 short days after we moved in, the horrible attacks on the Twin Towers happened and everything came to a screeching halt. There was no business, so it was really challenging. I felt pretty bad for John because he was hired on as a non-compensation employee; I was not paying him. We made all these plans to grow the company and earn paychecks for the both of us, and it just did not happen. And before things really started growing, he was diagnosed with Multiple Sclerosis and had to quit in order to live a less stressful life; the entrepreneurial lifestyle was definitely not recommended by his doctor. He is doing well now, but I feel bad that I was never able to pay him for all the hard work he did. After John left, Gina and I would spend nights and weekends packaging up all the orders, building torches and getting things ready to ship. Luckily, we didn’t have to do this for long because we continued to grow as the trend was moving toward e-commerce companies. We were strictly an e-commerce business, the market was moving toward us, and it just kept coming. The challenge during this time was that we couldn’t gain any access to capital because the banks seized up. 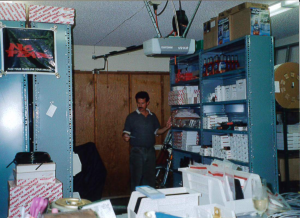 We were constantly struggling to keep our supply intact while the demand grew, which doesn’t seem like too much of a struggle because that means we were making sales, but it was tough to keep up. Now we are doing pretty well. We’ve even opened a storefront which has been the most fun. We get to connect with our customers on a super personal level and hear first hand what they like and dislike, and where we can make improvements. Starting my own business was a lot of hard work and long nights, but I knew that this was something that I needed to do. Working at the union job and then for Weldcraft, I noticed that there was something missing and the local weld shops could not supply it. Most of the guys who worked at those shops were simply salesmen, they barely knew anything about the welding industry or the products they were selling. I thought that since I know how to fabricate and weld, and even know how to make torches, that I could offer something people in the industry needed. I wanted to create a solution and that is where the idea for Arc-Zone came about. I knew that going door to door wasn’t gonna cut it because I used to do it and I’d hear a lot of, “dude, beat it! 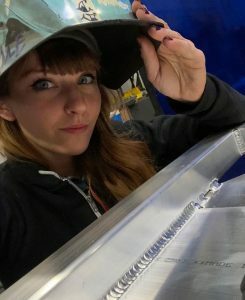 !” I decided a website would be better and two years after launching in 1998, I was featured in the American Welding Magazine as an emerging eCommerce company and invited to the FabTech show in Chicago. Before the show, we had a little party and had friends come over to help with ideas for the company mascot’s name. We had a giant white board and everyone was shouting out. My friends used to have this nickname for me, Joe Welder. This was before Joe Boxer and all that, but they would just say, “Hey, there’s Joe Welder.” It was that or “Easy Money,” so it was pretty obvious which one would stick. But I also thought it would be cool to have a persona other than myself, which is also where the idea for Carmen Electrode came from. Without Women & Computers, Where Would I Be? 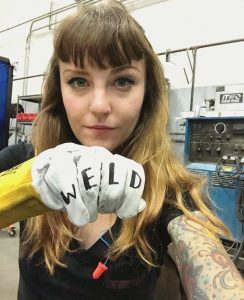 My wife is a hair stylist and always has attractive, female friends around that do hair modeling, so we had all these ladies come over and we came up with some clever welding related female names. We picked MIG Ryan, Britney Sparks and Carmen Electrode. We used the hair models and put a contest on the website, a poll rather, for customers to choose who should be Miss Arc-Zone and Carmen Electrode won. 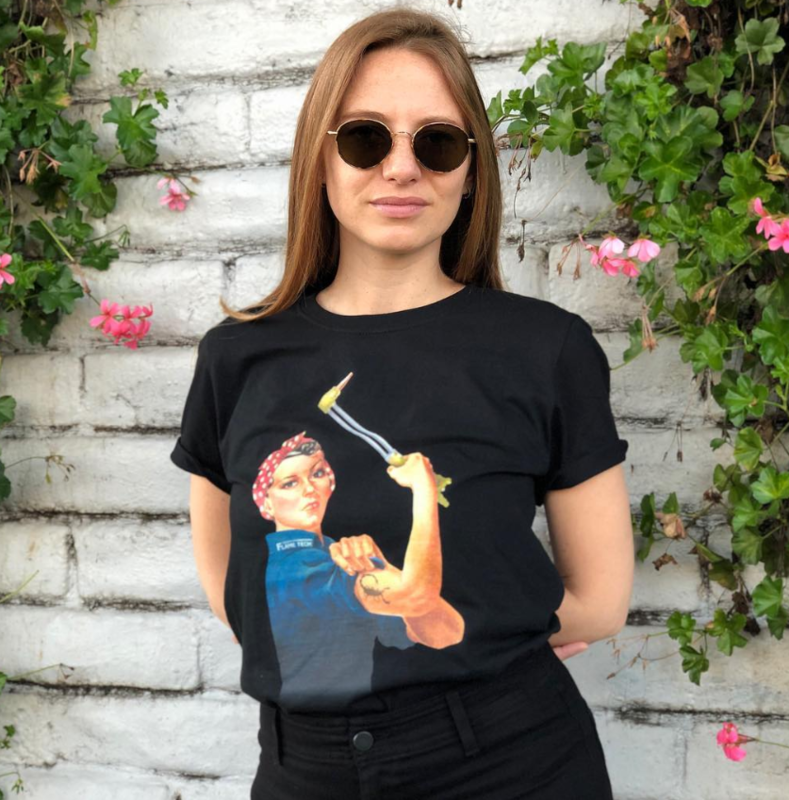 I’m going to be honest and say that we didn’t create Carmen Electrode as the face for women welders in the beginning. I was young and had been in the motorsports industry for a long time so I knew what caught guys’ attention. Simply put, by adding a nice looking lady, a lot more dudes were going to come check-out my site. When we went to the FabTech show, we brought Carmen Electrode with us. Gina made custom clothes for all of us, the girls wore frilly pants and vests, which I still have hanging right here in my office. She went All-Out, making mouse pads and a bunch of stuff in tiger print with tassels. I still have every piece from that show, even the banner. Our booth looked unlike anything there, plus we had a computer and no one had a computer. Because no one had a computer, there was no Internet. I wanted to have the website running but it was impossible. So we ran the website off of a CD and people were lined up at the computer just clicking through each page. It was a pretty cool experience. After the show, I realized that people have a lot of questions, and I could provide them with information through technical articles on my website. 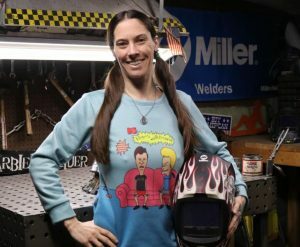 We started a blog as Joe Welder and decided to write one for Carmen Electrode as well. 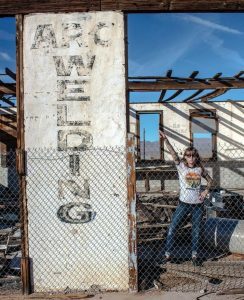 I wanted to create a space for women who wanted to do something in the trades; Carmen Electrode seemed to be the perfect platform. Growing up on the track, there were only a few ladies involved and I was amazed at the amount of verbal abuse they could handle. They were shoved out of the way and frowned upon, even though they worked just as hard or harder than all the men. I’ve always wondered, “What is the difference between a chef and a welder?” Not much, if you think about it. It’s hot, you’re working with tools, you can cut yourself or get burned, it’s dirty and you have to clean up greasy tools and wash unsanitary items. 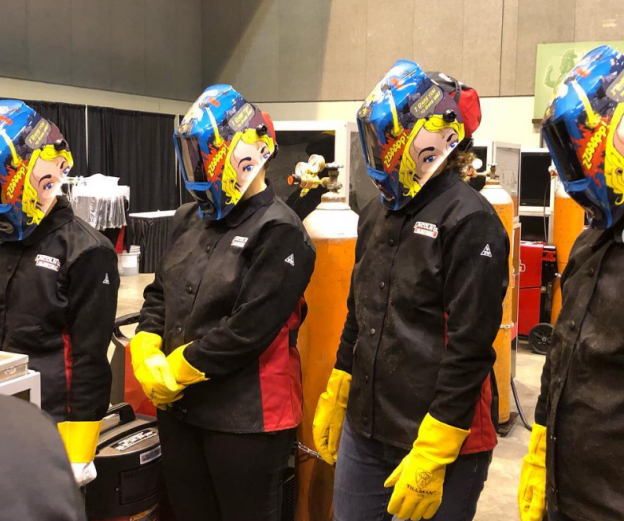 Some of the differences are that fabricators make more than most chefs and you see more women in the kitchen than men, and more men in the trades than women. When I was working at the union job, there were only two ladies. They weren’t very friendly in the beginning, which is totally understandable because they weren’t treated very well. We only became friends after I created this efficient tool to weld more pieces at a time. We weren’t paid by the hour but by the number of pieces we welded, so I wanted to find a way to make more money and had a machinist make me a tool to braze more pieces at a time. I shared my tool with them, and we got along pretty well from that point on. 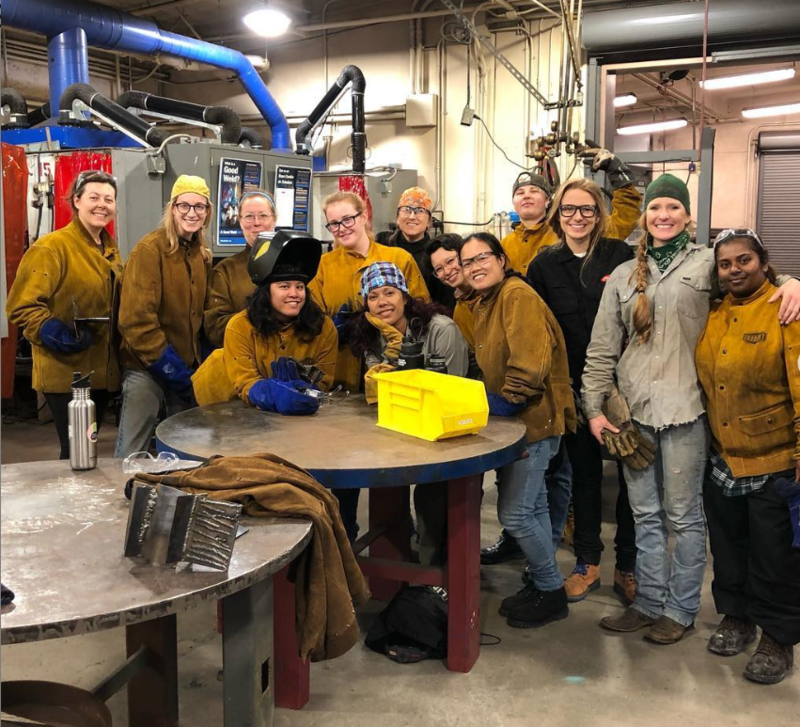 My first experience with women in fabricating, the trades industry more specifically, was interesting and after I created Carmen Electrode, I wanted to find a way to mold the industry into an accepting and encouraging “space” for all women in the trades. Carmen Electrode was classy. She still is, but she also doesn’t take any crap from anybody, kinda like Cher. Have you seen Cher lately? She is amazing and is still going! Cher is one of the women who inspire me, as well as Judy Woodruff and Ariana Huffington. Judy is a journalist in her 70’s who hosts a TV show every night and is super involved in politics. And Ariana, I mean her story is amazing. She was married and her husband ended up being gay so he divorced her. She was tossed out and barely spoke any English, so she reinvented herself and created the Huffington Post which she later sold for like $25 million. I think women who make something out of nothing are amazing. Women who persevere through trying times and come out stronger than ever are who Carmen Electrode is based on. At Arc-Zone, nearly half our staff are women – strong, smart, empowered women – our Carmen’s behind the scenes & on the front lines. It’s Awesome! I also have a daughter, and I make sure that she knows she can do whatever she sets her mind to. 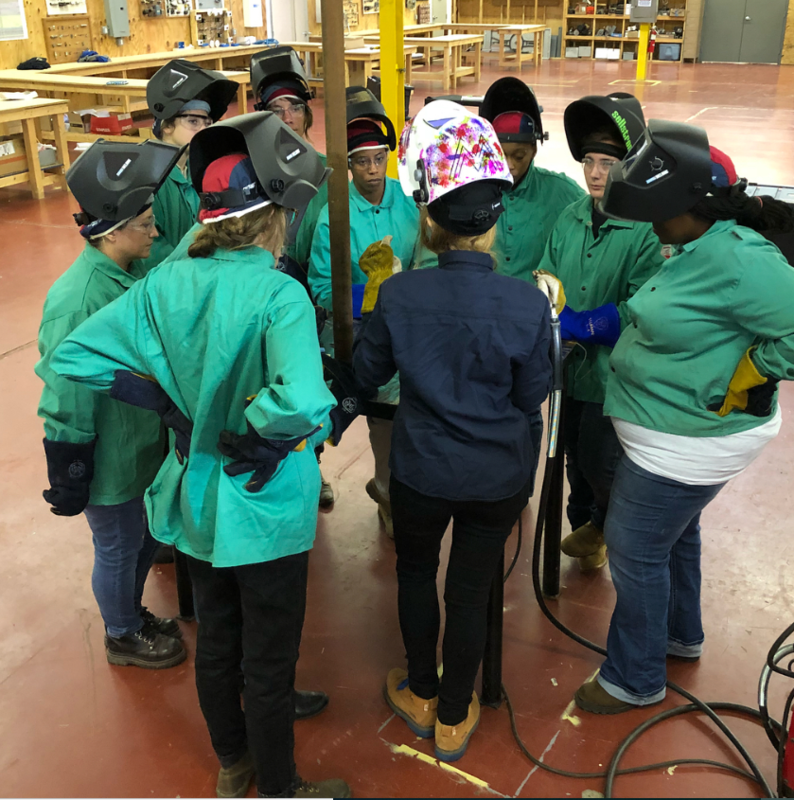 We want the Carmen Electrode blog, Instagram and brand as a whole to embody the empowerment of women and demonstrate all the diverse opportunities in welding, fabrication, and trades. Women produce technical videos, run purchasing departments, make jewelry, repair cars, build pipelines, write articles, and so much more. Women can do anything they can dream up, and the right tools along with a support network make the journey that much more enjoyable. Set your mind to achieve something great; our Team is here to inspire and support. This entry was posted in Arc-Zone.com News, Working Women & Society on July 11, 2017 by Editor. 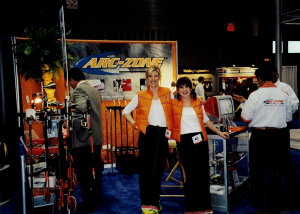 Back in 2003, Arc-Zone recognized that women’s contributions to the welding industry were widely overlooked… So we created the Carmen Electrode blog to bring the amazing work of female fabricators around the world to the forefront. To this day, we love to shine a light on like-minded women who are driven to achieve similar goals. Bogi of @bogisgarage is an exceptional woman, who started a movement #ChevyMontage in which she celebrates and encourages women of all ages to pursue a career in the automotive industry. 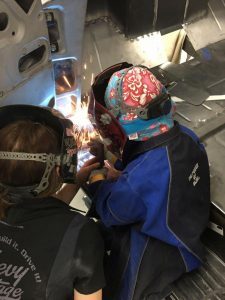 Throughout this journey (aka “The Build”), women from all over the US are mentoring less experienced ladies and providing them with a hands on learning opportunity to build a car together. 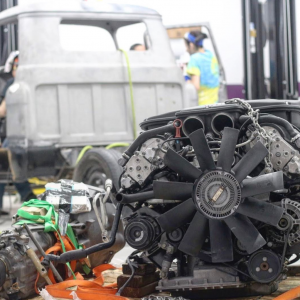 The build consists of restoring a 1957 Chevy pickup and installing a M5 BMW Motor making it as unique as the women who are working on it. 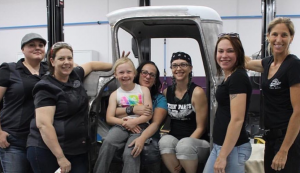 All the work will be completed right from Bogi’s #allgirlsgarage! Follow the entire build at @bogisgarage or on Youtube and stay up to date as it makes its way up to the SEMA Show in November. If you know a woman who may be interested, Tag her below and let’s get the message out there! 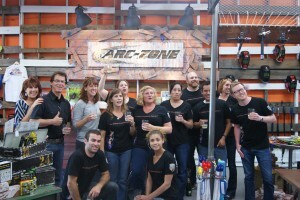 And if you are in search of Women Gear visit our website www.Arc-Zone.com. 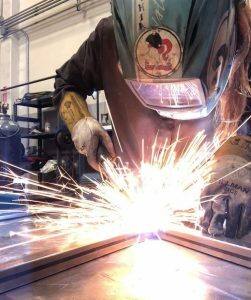 This entry was posted in Welding Tips, Working Women & Society on June 2, 2017 by Editor.